I’ve been back for a couple of weeks now from my trip to the Pacific Northwest. The return to my “normal” life was slow and arduous. I was so ready to turn around and escape again. Don’t get me wrong; there’s a lot I like about my “normal” life. But there’s a lot I like about traveling and experiencing new places. As I look back on the experience, the most meaningful parts of the trip were the beginning and end. I started my trip visiting my college friend Claire and her family. I ended my trip visiting my friend Tricia and her collection of Hood River friends. 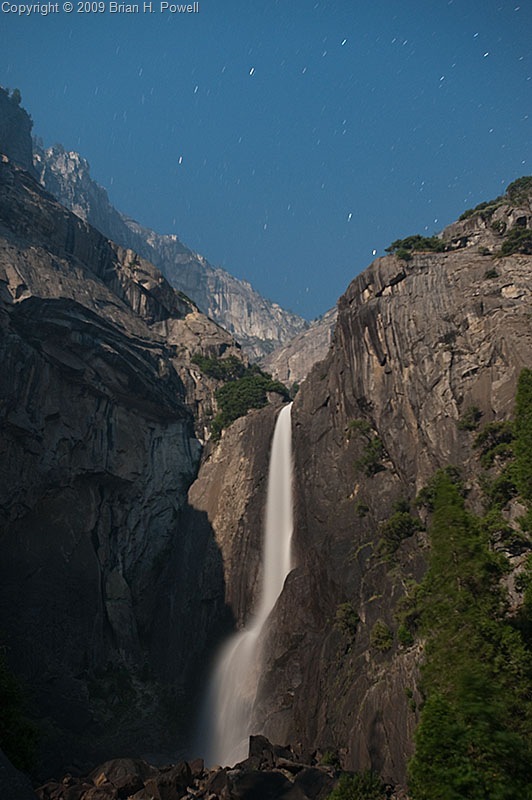 Yosemite, the Eastern Sierra, and the Cascade Range are fabulous. But they don’t hold as much meaning to me as renewing and growing old friendships. So thank you, Claire and Trish, for being the bookends of a wonderful trip. I can’t wait to see you again. I was inspired by the long hikes. I was inspired by blue skies and mild temperatures. I was inspired by the beauty of the nature around me. I was inspired by the people I met along the journey. I was inspired by the photos that came out of my cameras at the end of each day. I was inspired by my friends around the world who followed me on this blog, on Facebook, and on Twitter. I wish you could have come along. With each use, I grow more and more excited about the images coming out of my infrared camera. 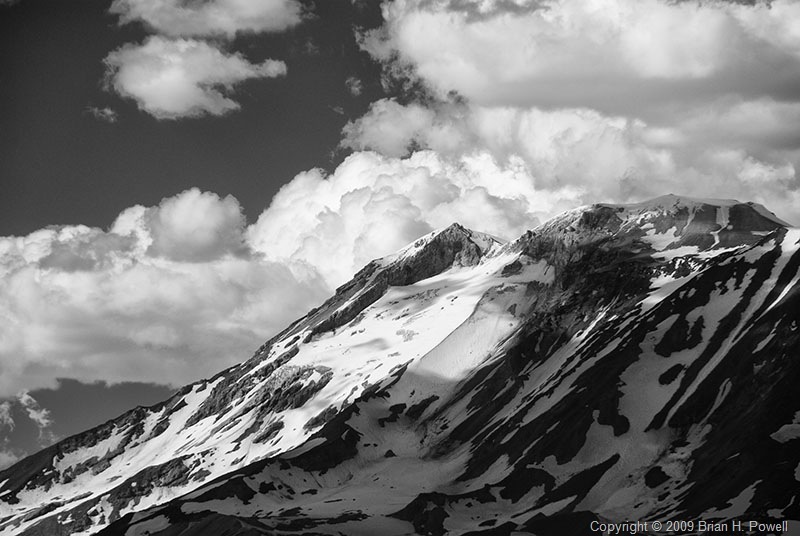 (I had my Nikon D200 converted to infrared by Life Pixel.) 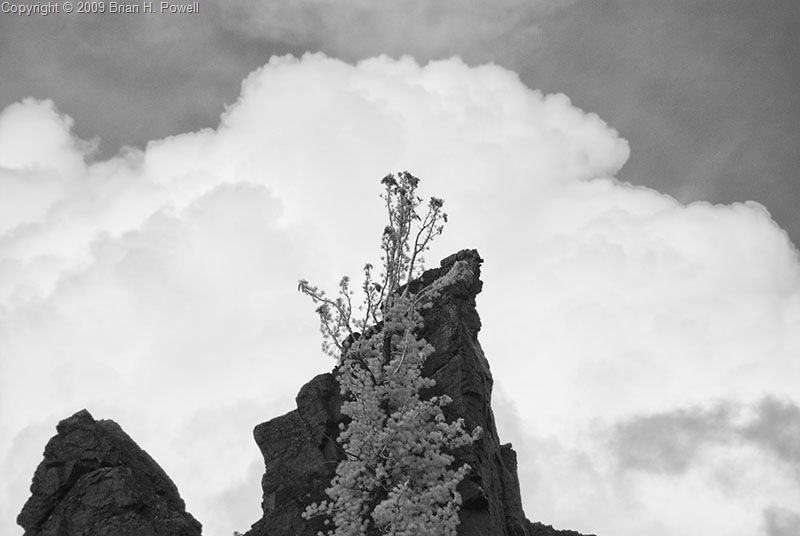 I’m pleased to announced that I’ve started making prints for sale directly from my Zenfolio Landscapes Gallery, and the first three images are all infrared photos from this trip. I’ll be expanding this gallery in the coming weeks and months. 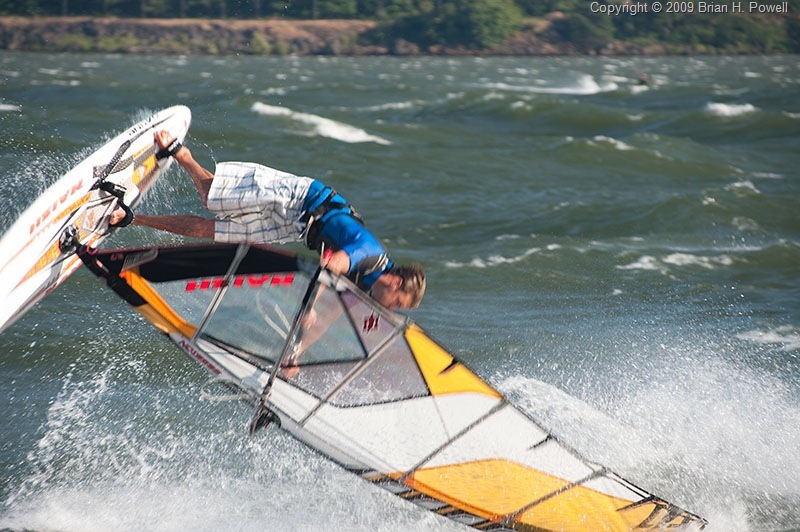 I had a blast photographing the windsurfers on the Columbia River. It requires a lot of the same skills as bird photography. I flipped a few familiar settings on the camera, and I was ready to follow the action. 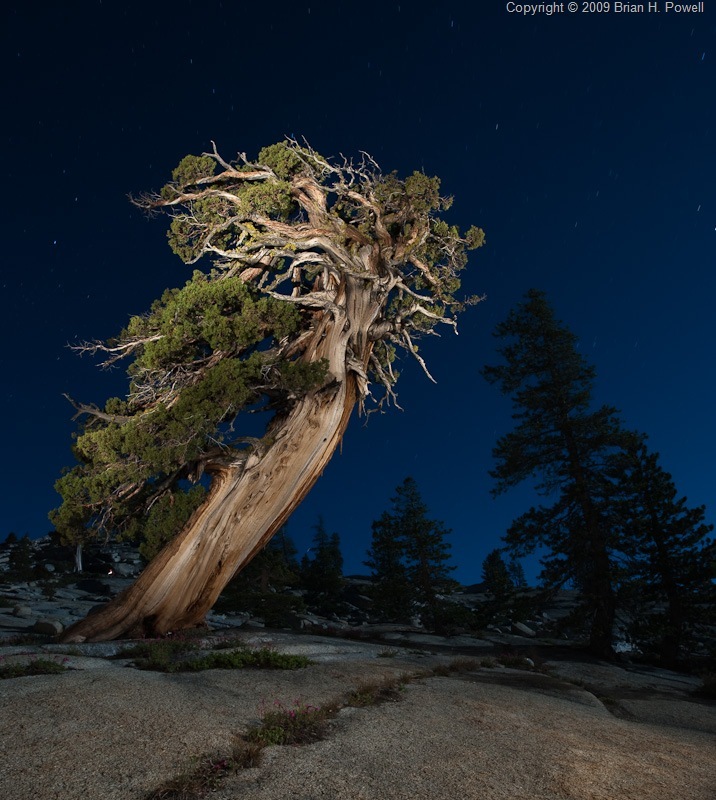 I enjoyed learning about night photography from Michael Frye, Mike Osborne, and my fellow Ansel Adams Gallery workshop participants. Thanks for reading this blog. I can’t wait to take you along again. More to come soon. I left Portland today, returning to Austin. It was hard saying goodbye. But I’m also looking forward to returning home to family and friends and a fun job. They make this trip possible. I almost didn’t take any photos today. I didn’t see anything that inspired me, so I left the cameras in the backpack. It was a nice walk in the woods, which let me do some thinking and clear my head. 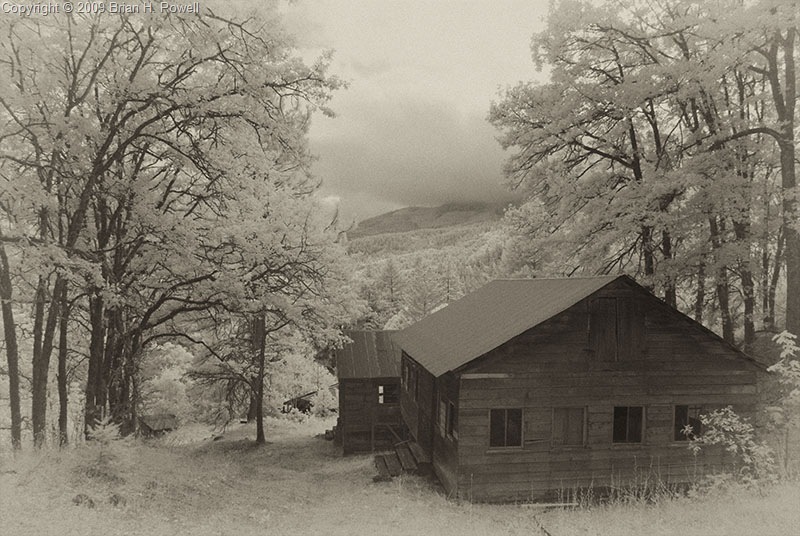 When I came back to White Salmon, I remembered that I wanted to try some infrared shots of the old buildings on my friend Trish’s property. So yes, I did take some photos today. Tomorrow I head home. In the next few days, I’ll have another blog post summarizing my thoughts about this trip. I ended up at the fish hatchery on the Columbia River, just west of the White Salmon River, to watch the windsurfers. Sunday is my last full day here. More exploring. Home Monday. Friday was a long day of driving, across the state of Oregon from south to north. I stopped near Bend to visit the Newberry National Volcanic Monument, which includes a caldera, lava flows, cinder cones, and other volcanic features. I hiked through the Lava River Cave, a mile-long lava tube. The temperature inside is about 40 to 45 degrees. You could rent lanterns, but I just used my headlamp. Occasionally, when I was out of sight of other visitors, I’d switch off my headlamp to experience the cave in pitch black, listening to the drips of water. 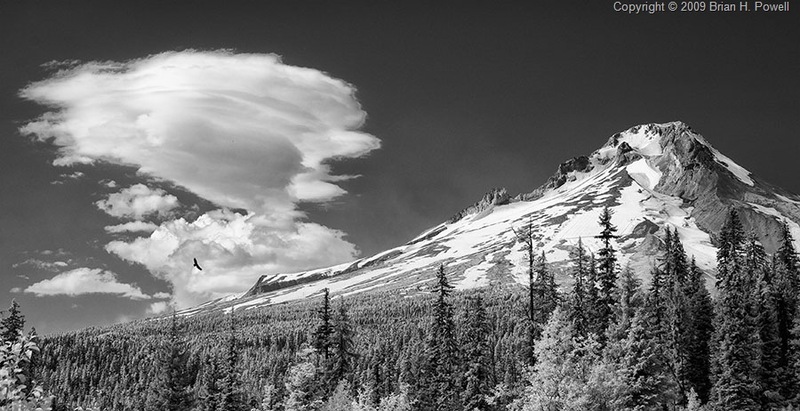 I kept driving north to Mount Hood (shown above), including a stop at Timberline Lodge. From there, I drove into Hood River and met up with my friend Tricia and several of her friends for drinks and dinner. I had planned to get up early (like about 2 or 3 AM) and drive to Crater Lake for some night and dawn photography. I put out some warm clothes, set the alarm, and went to sleep. When the alarm went off, I talked myself out of getting up, and into a few more hours sleep. I had originally planned to stay near Bend tonight, but instead, am staying south so that I could spend all day at Crater Lake. It was a good decision. Soon after arriving, I decided to sign up for a boat ride. 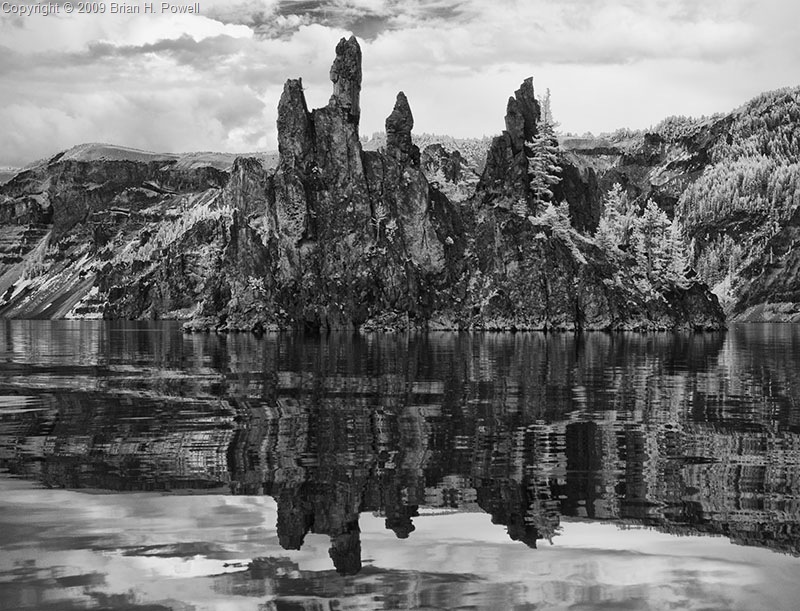 I had a choice between a two hour boat ride that toured the lake, or a five hour boat ride that included a three hour stop on Wizard Island, a cinder cone rising out of the lake. I wasn’t sure I wanted to commit to five hours, but I went ahead and signed up for the Wizard Island trip. I’m glad I did. I hiked to the summit—relentlessly uphill; there doesn’t seem to be any flat ground on the island. Here I am with my scruffy beard at the top of Wizard Island. (Click on any image to enlarge.) Yes, the water really is that blue. It is the deepest lake in the United States (seventh deepest in the world), and is among the clearest lakes in the world. To get to the boat landing, you hike down the Cleetwood Trail, which means you get to hike back up the trail when you return. It’s about a mile long and descends 700 feet to the lake. This is also about the same distance and elevation change of the Wizard Island summit trail. So I did about four miles today, in 50-60 degree temperatures, at 6000-7000 feet elevation. Even without the stop on Wizard Island, I would have found the boat tour interesting. We got to see a different perspective on the caldera, and I learned more about the lake than I had known before. Yeah, that’s really what they call it—Bumpass Hell. Allegedly named for a cowboy named Bumpass who burned his leg there in the 1860’s. 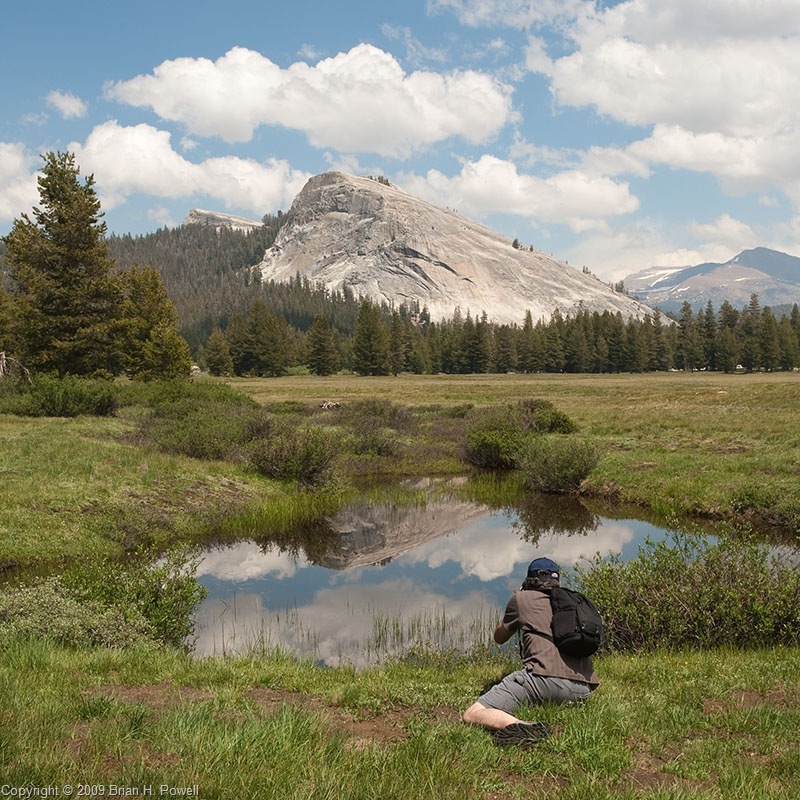 Lassen Volcano had a major eruption in 1914-1915, but was a national monument even before that. The hike to Bumpass Hell is about 1.5 miles one way at about 8000 feet. The trail had a few patches of snow on it, and I’m glad I brought my hiking polls for some of the slush/snow traversals. The temperature was around 55 to 60 degrees Fahrenheit and sunny. Great hiking weather. Other than that, it was a long day of driving—both before and after Lassen. I’m now in Oregon, contemplating getting up early for morning light at Crater Lake. Monday afternoon and evening, I did a one-day photo workshop with Michael Frye on night photography, through the Ansel Adams Gallery. Assisting with this workshop was another great photographer, Mike Osborne. I learned a lot, including how to do light painting with flashlights, as shown above. 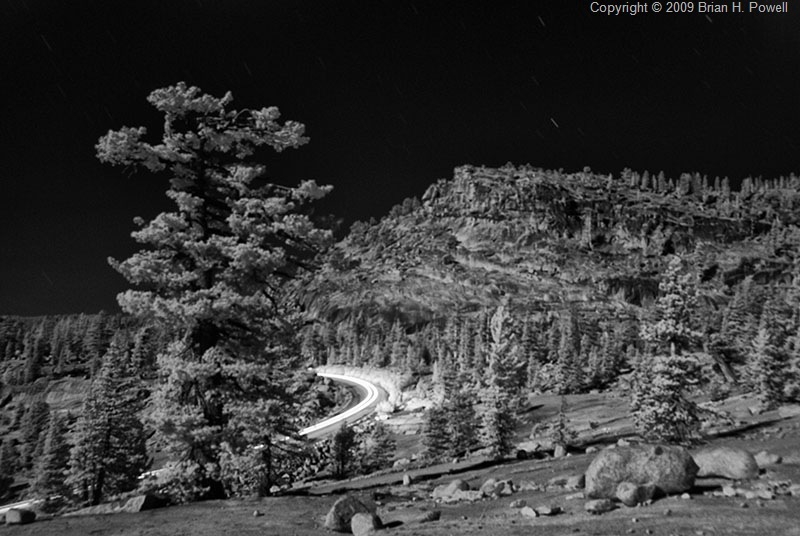 I also played around with infrared night photography. The image below shows a car driving by near Olmstead Point. I kind of like the sweeping curve of the headlights through this image. 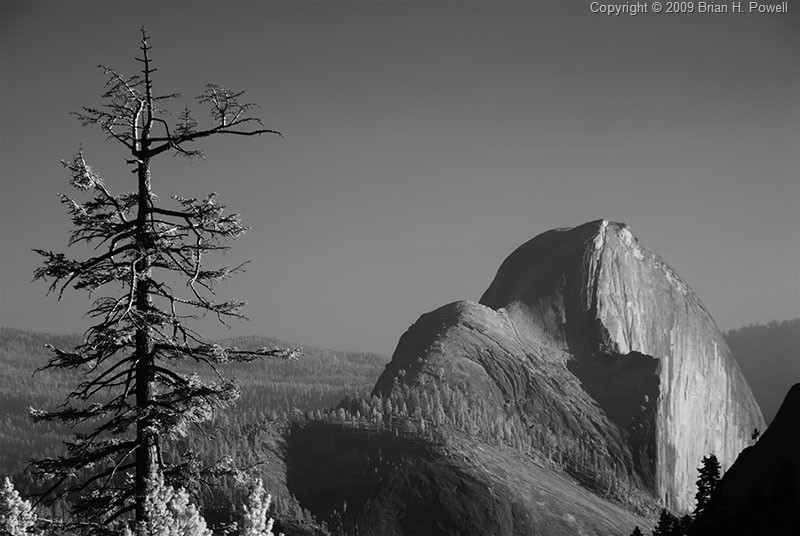 This image of Half Dome from Olmstead Point was taken earlier, near dusk. I got back to Yosemite Lodge about 2 AM and was asleep a few minutes later. It was a bit difficult, but I managed to get up early this morning to drive to Berkeley to visit a professor and a few students. Tomorrow, I start my trip up north, eventually to Oregon. On Monday, I’ll be up early—doing laundry. And I’ll be out late—doing photography. So, I’m writing this blog post in advance, to say a few words about my first week. I’m now halfway through my trip. A week ago, I imagined this as a photography trip. To me that means seeking the best light—up before down, out after sunset, putting myself in the right place at the right time, and trying hard not to let a good photo opportunity slip away. Visiting the Rowell’s Mountain Light Gallery the other day, I was reminded about how Galen Rowell worked so hard to be at the right place, in case the light and all the other elements of a good photo came together. But for me, it hasn’t played out this way. Sure, I’m doing a lot of photography, but I’m not getting up at 3:45 AM to drive to some place an hour away to be there for first light at 5:00 AM. This is okay for infrared photography; it actually works pretty well in the middle of the day. But for visible light photography, my mid-day hikes don’t yield the best photos. During my five-mile mid-day hike through Devil’s Postpile, I had plenty of time to contemplate this. Instead, this trip has been about discovering new places. As I was explaining to a friend of mine, I have to get to know a place before I can really capture it with photography. 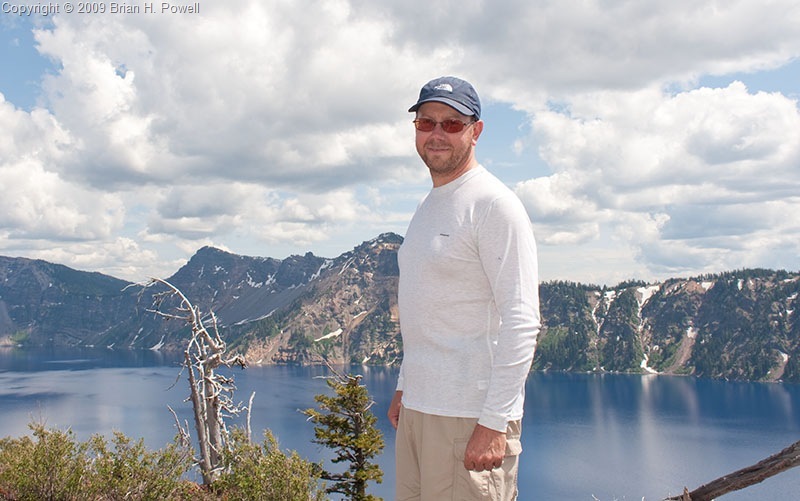 Galen Rowell would sometimes go back to a place many different times, waiting for the conditions to be right—the light, the wind, the snow or rain. 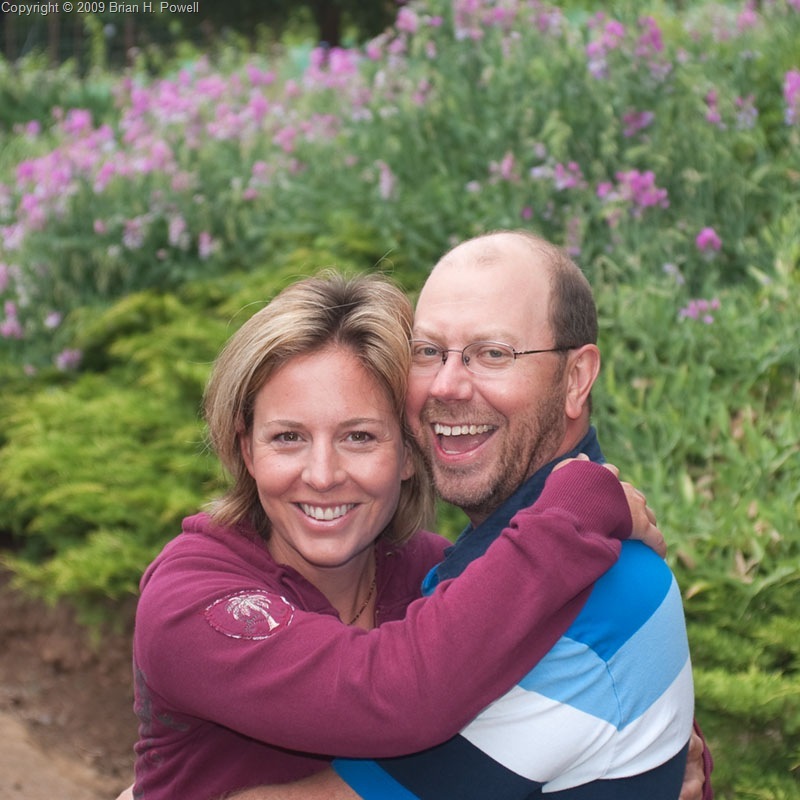 This explains why I’ve been to Bosque del Apache National Wildlife Refuge four years in a row. This has become a kind of a scouting trip for me. 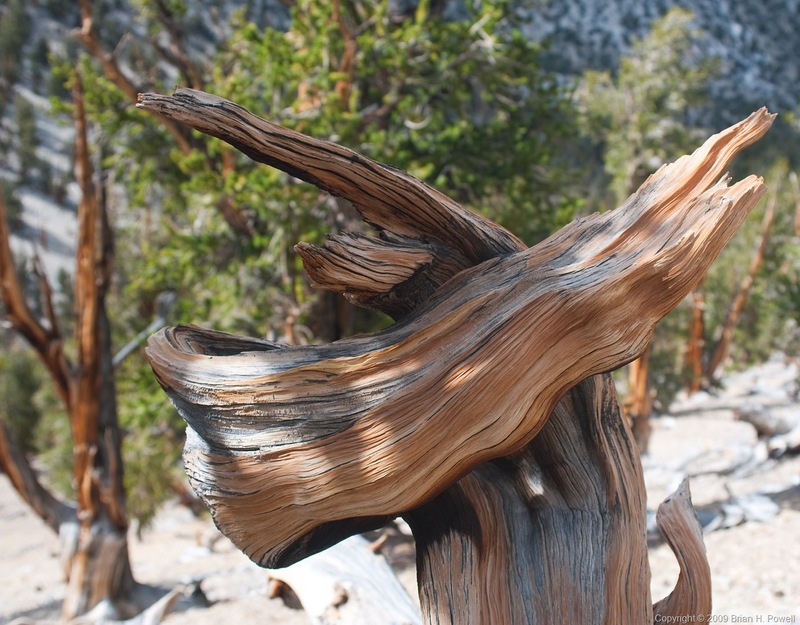 I’m figuring out what works and what doesn’t in places like Yosemite, the Bristlecone Pines, and Bodie State Park. I’d like to come back to try different times of the year, with different weather conditions. I believe that these places have more to say… more to reveal… than I can discover in a quick first-time trip. I’ll be back again. I’ll be more ready. I’ll know more about what I want to accomplish. In the meantime, I hope you’ve enjoyed the handful of images that I’ve selected for the blog postings for this first week of my trip. I’ll be back with another post on Tuesday. Just wanted to post a couple of quick night shots. 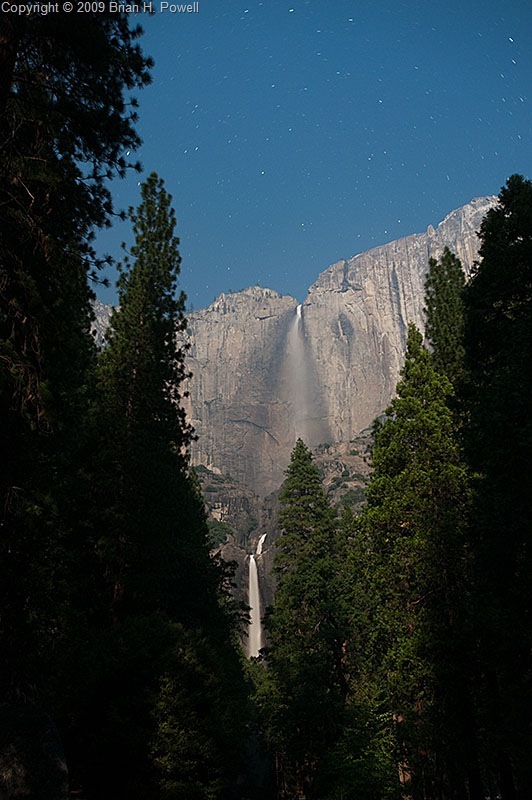 The Yosemite Lodge is a few hundred yards from Yosemite Falls, so it was easy for me to walk over about midnight and try a few things. They look somewhat like daylight shots, except for the stars in the sky.